Whoever thinks this release is underrated is having a cheap laugh :P Even taking into consideration that it's a novelty track it's still chuffing crap, crap, crap and more crap. The production's shite, the piano's shite, the samples are shite, the sequence is shite. The rapping style is total crap. The female vocals are horrible. Just plain crap really. The vocal chorus obviously inspired by early 1980s silly synthy pop hit Einstein A Go-Go crucifies it even further with their own, imo much, much worse depiction. Topped off, arguably, with one of the cheesiest rap samples (Run DMC) in history. Yes that's right, you've guessed it. That awful, unoriginal and highly irritating "ahh yeah" found in many records of the period. Spoilt even some of the best records over the years that sample has, yet alone this load of crap. I spent a couple of days with lipmaster mark in Ayia Napa and he said the tune Jaffa cakes was written because one night they were driving round london late at night after a smoke. They all had the munchies and when they pulled up at a garage he said all they could find to eat was jaffa cakes so they bought a load of them and decided to write a song about it. This one never fails to crack me up, especially when they sing about needing the orangey bit in the middle. Like searching for my Rizla, I have a suspicion its about drugs rather than a spongy orange biscuit, but I could be wrong. 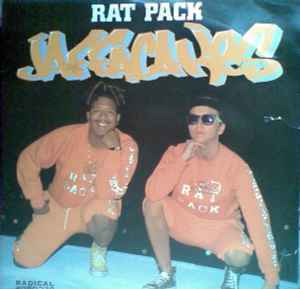 Its another underrated track by Ratpack and less commercial than searching for my Rizla.